We started the day in the seaside city of Trogir, Croatia on a quest to find Zinfandel’s ancestral home. By the day’s end, we’d not only savored many splendid glasses of wine, we’d also acquired a greater appreciation of Croatian culture while broadening our circle of international friends. 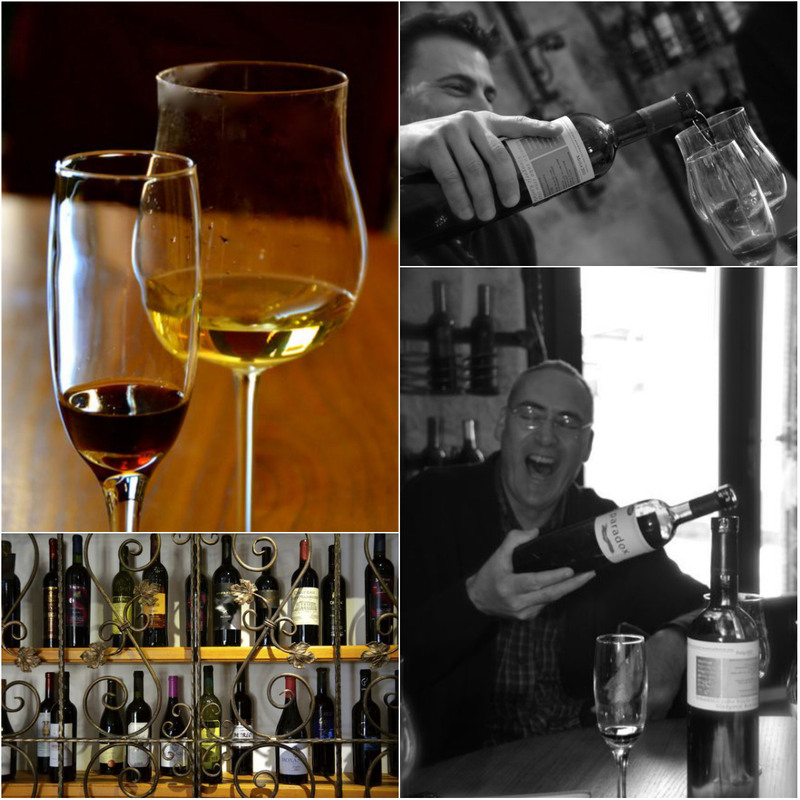 Our wine tasting tour in Split and Kaštela was brilliantly crafted by Alan Mandic at Secret Dalmatia, whose personal network of friends passionate about Croatia made it all possible. We instantly clicked with our guide, Srdjan, who picked us up in his white Lada 4×4, that he’d playfully introduced as ‘the vineyard car.’ Events later in the day would vindicate the car’s namesake. Srdjan, who has a Master’s degree in Hospitality, studied at Cornell University for a time, resulting in impeccable English. As we drove, he explained how he previously transported his bandmates and their instruments in the ‘vineyard car.’ Now, it was used to drive his international guests on tours of Croatian wine country. 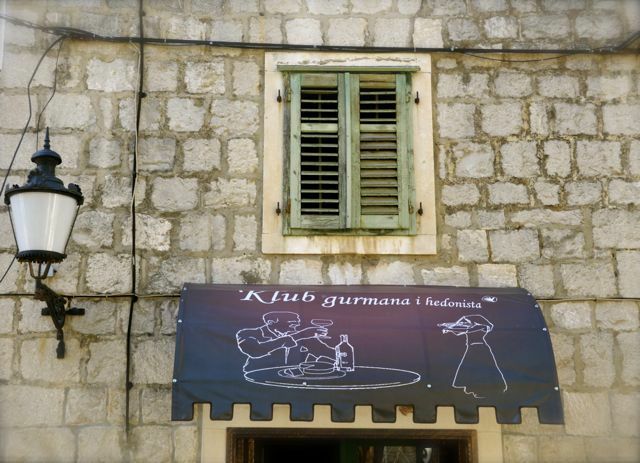 Our first stop was the Klub Gurmuna i Hedonista wine bar in Split, owned by Igor, a jovial host who had perfected his English in Florida while playing basketball there for several years. 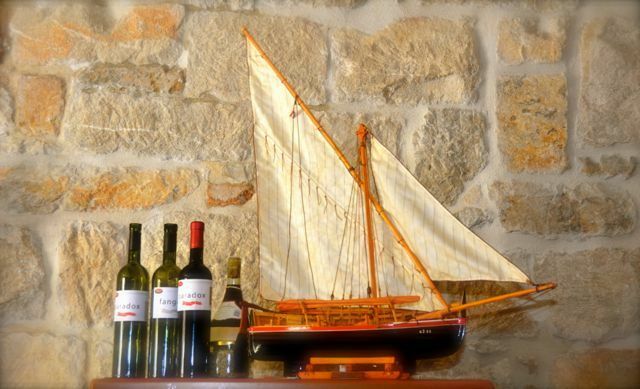 Igor’s wine bar, not far from Diocletian’s fourth-century palace, had an intimate setting with stone walls, twisted iron accents, and shelves of colorful wine labels. A model sailboat and a guitar adorned the bookshelves, hinting at Igor’s other passions. Wooden trays laden with sun-dried tomatoes, spicy bell peppers and cubes of dry cheese awaited us on the table. 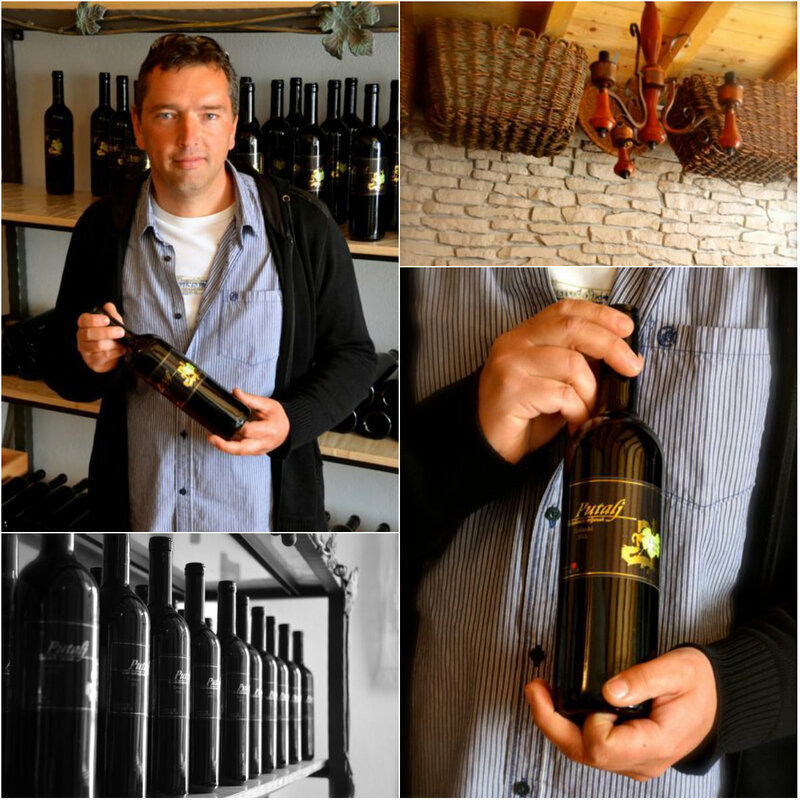 Igor tied on his apron, bringing out a bottle of his 2010 Fango label Pošip. Pošip is a white wine, similar to Viognier, grown on the island of Korčula. 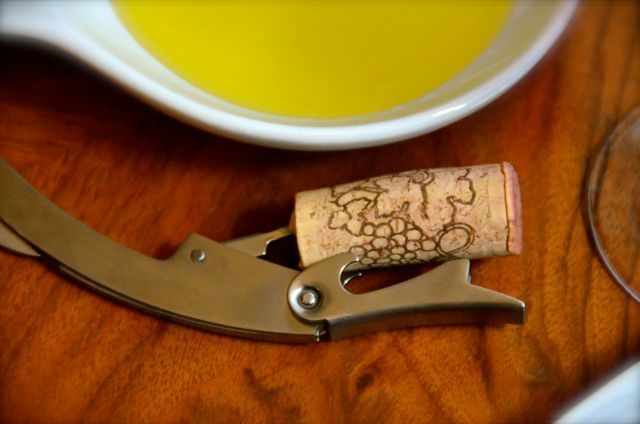 We appreciated the wine’s brilliant straw color, citrus notes, and crisp finish. The trio of finger foods, sourced from local establishments, perfectly balanced out the Fango. Next on the flight of wines was the 2010 Paradox, a Merlot also hailing from Korčula. 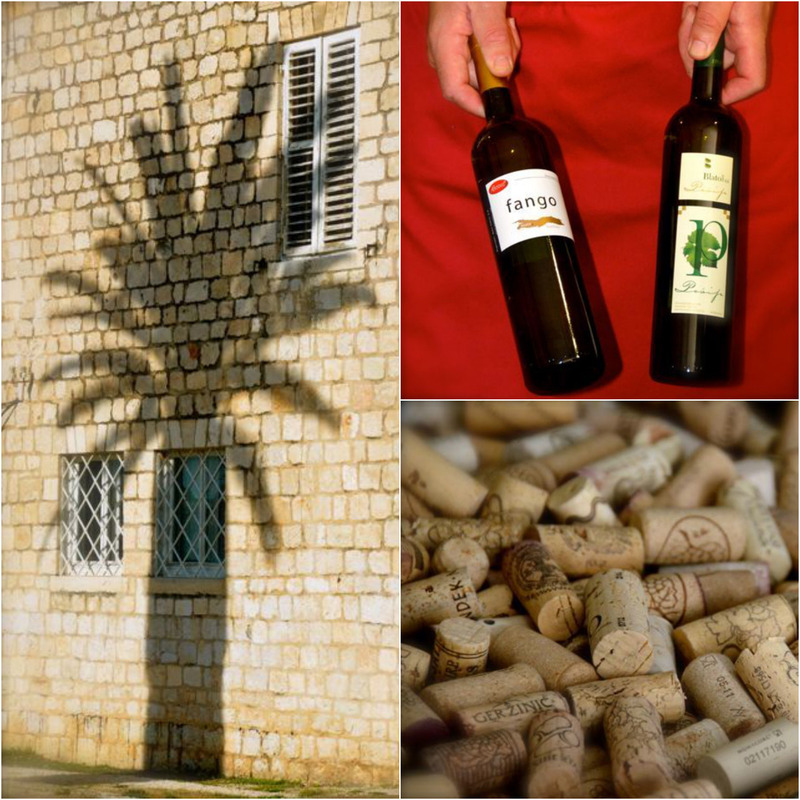 Korčula is known for its white wines, hence the red Merlot’s aptly-chosen name. The wine had a charcoal ruby color and a velvety finish. As we swirled, sipped and savored the wine, we listened as the duo shared insightful anecdotes on Croatian history and culture. Srdjan’s family had inherited land from his grandmother that would be ideal for growing grapes, be it not for the landmines that still lurk there from the Homeland War of the early 1990s. He was uncertain when or if the land would be demined. Igor shared more upbeat memories of times when his grandmother and friends crushed grapes with their feet. One celebrated grape crusher was a neighborhood basketball player who wore size 15 shoes. The pièce de résistance of the afternoon at Klub Gurmuna i Hedonista was the Vinoleto, a blend of red wine, liqueur and spices made by Igor’s friend on Korčula. As we sipped it, cozy, fireside holiday gatherings came to mind. No wonder Igor had dubbed it the “crowd pleaser.” It was exemplary. With a full itinerary still ahead, we reluctantly bid farewell to Igor. 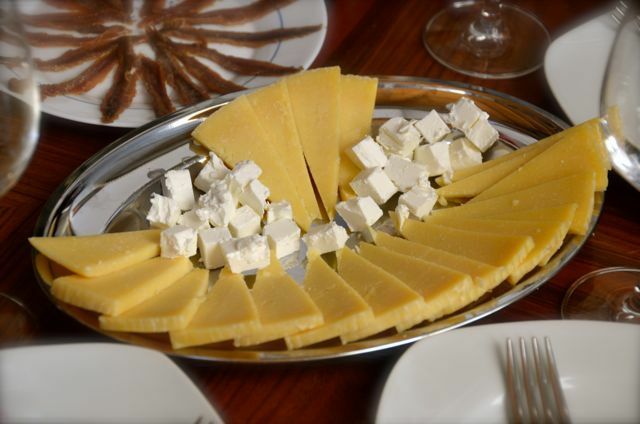 We hope to return someday and partake in Igor’s and Srdjan’s more in-depth tasting program, which consists of a flight of wines from four of Croatia’s wine-growing regions: Dalmatia, Istria, the Central Region and Slavonia. After leaving Split and passing by 1,700 year-old aqueducts and rugged limestone hills, we were welcomed by bright yellow mimosa flowers at the Putalj Winery in the town of Kaštela. Kaštela is where Zinfandel’s ancestor, Crljenak Kaštelanski, was ultimately discovered in 2000. Croatian immigrants to the United States had long suspected that California Zinfandel grapes were related to the ones they left behind in the old country. 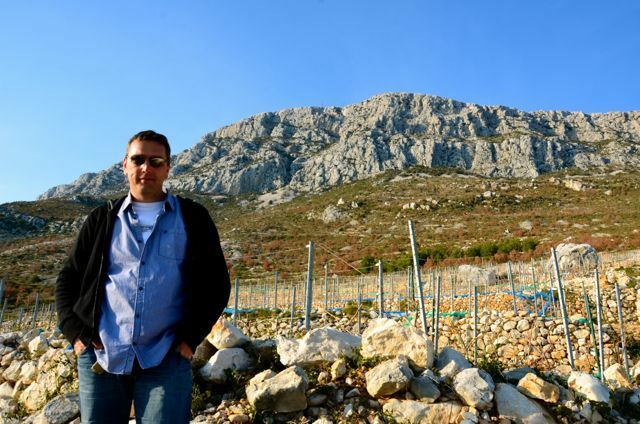 Many say that celebrated Croatian-American winemaker Mike Grgich should be credited with helping to conclusively prove Zinfandel’s roots in Croatia. The Rosé Zinfandel (less sweet than a White Zinfandel) was light, crisp and fruity. The Plavac Mali, in addition to lacking astringency, had a very distinguishable buttery flavor and a smooth finish. The Crljenak Kaštelanski, or Zinfandel, was outstanding! If it had that much finesse while still in its youth, we can only imagine what it’ll be like in a few more years. 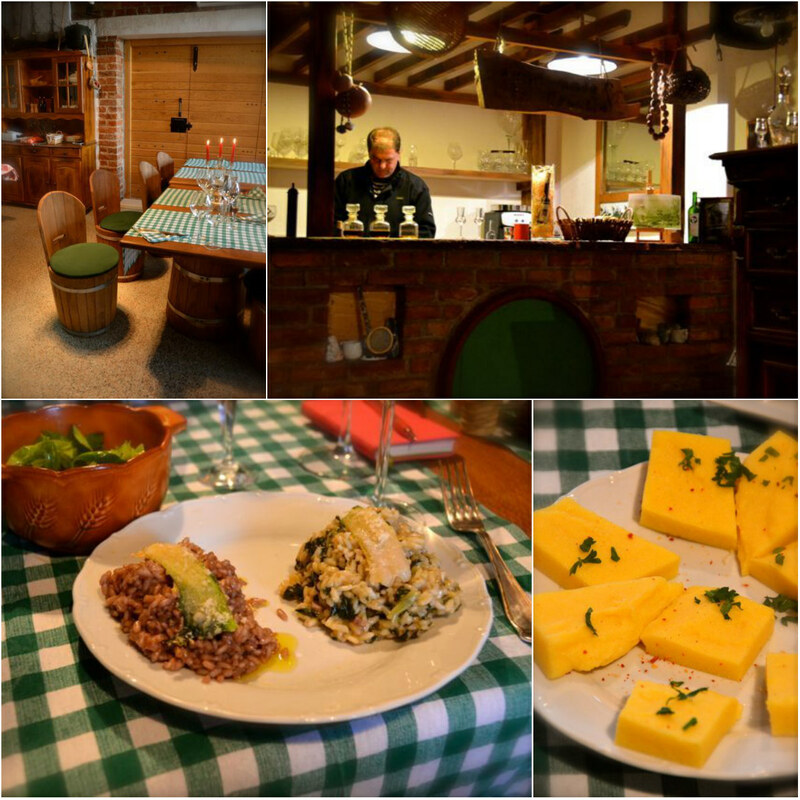 Next door to the fermentation room was Anton’s cozy cellar, where we were treated to feta cheese, a fresh baguette, sardines, Anton’s homemade olive oil, and a bottle of 2011 Crljenak Kaštelanski. 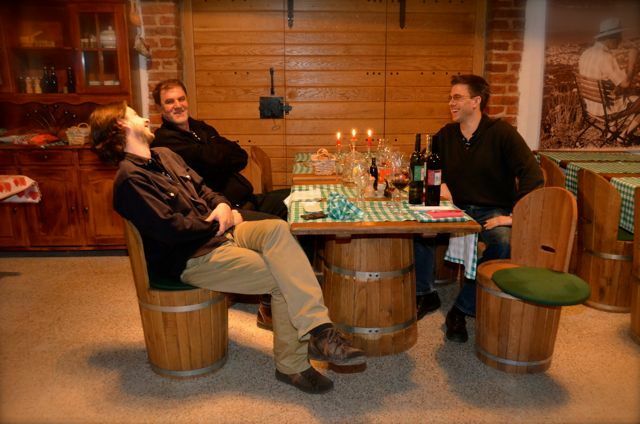 Given Anton’s knack at hosting, we were surprised to hear that we were some of his first guests. 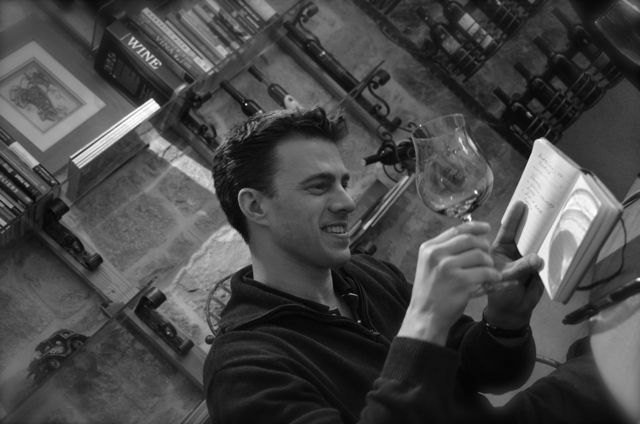 We were also fascinated to learn how Anton had gotten into the wine business. 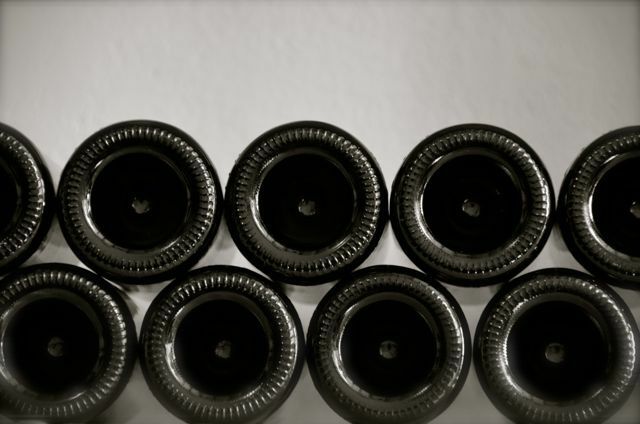 His grandfather had dabbled in winemaking on a small scale and his parents were farmers. 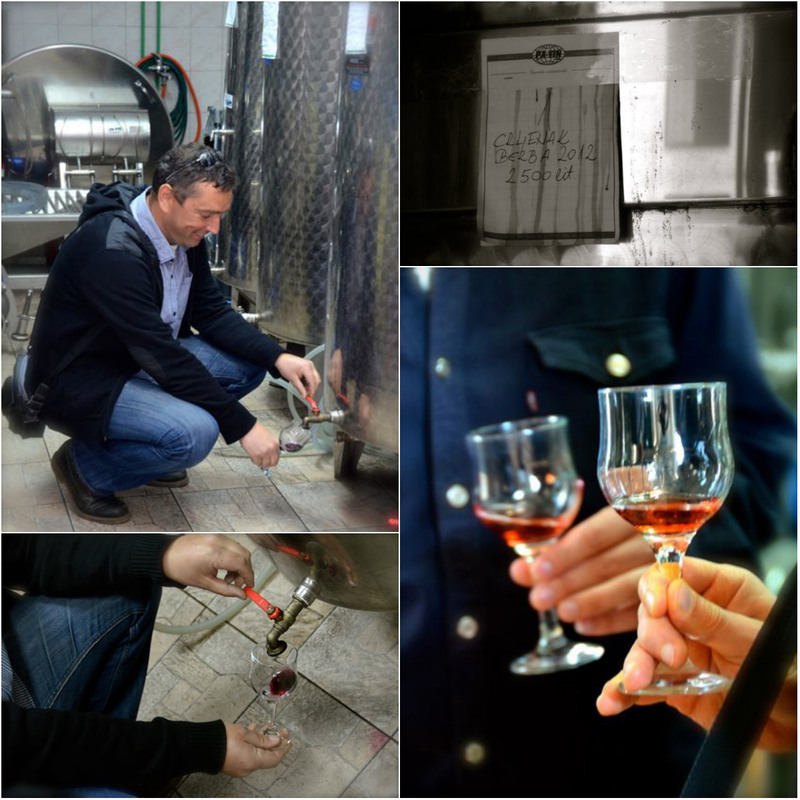 As a result, Anton had inherited land and began investing in wine-making equipment. Before the golden hour was over, Anton and Srdjan were eager to take us to the vineyards that Anton’s family had been tending for nearly a century. 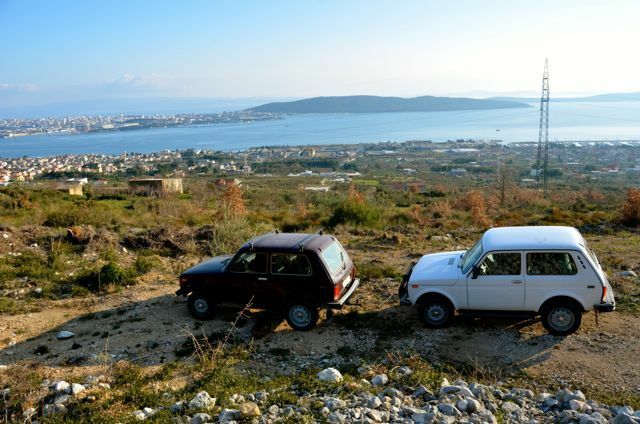 We again piled into Srdjan’s Lada, traversing bumpy limestone hills, and arriving at Anton’s vines, which were just starting to show signs of springtime reawakening. 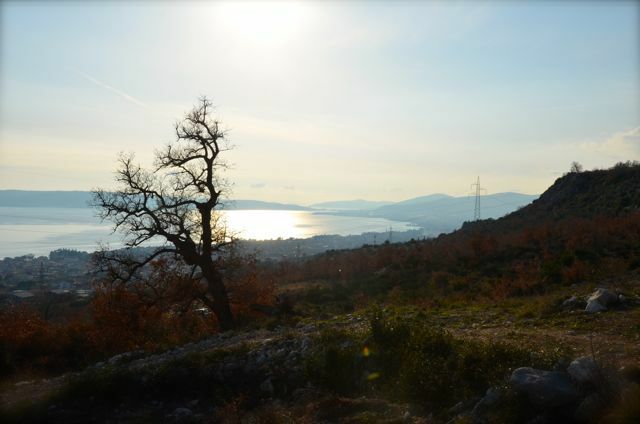 The setting was stunning: a panoramic view of Split, the Adriatic, and partially-planted vineyards. Anton pointed to a petite white church off in the distance, explaining that documentation was housed inside attesting to Zinfandel’s 1,000 year-old origins in the area. “Zinfandel was born here,” Anton said proudly. Someday, on the cusp of harvest, we will make a return visit and see the vines fully awakened. For our third and final stop, we paralleled the sparkling Adriatic, arriving at a tasting room/restaurant called Vagabundo. An antique grape-hauling wagon stood guard outside. 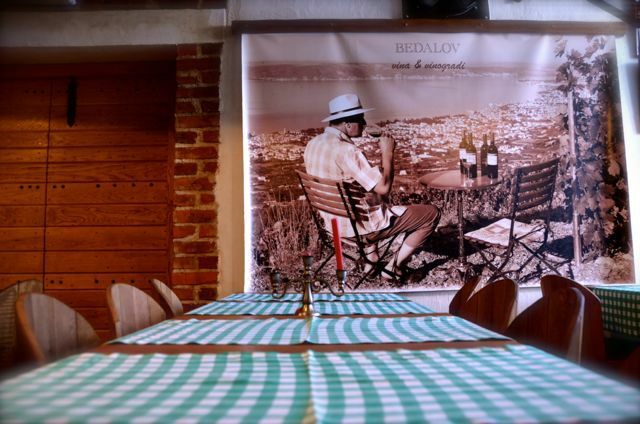 A timeless image of our host, Jakša Bedalov, hung on the brick wall in the entryway. In it, Jakša sits at a bistro-style café table, enjoying a glass of wine in a scene almost identical to the one we’d just savored. 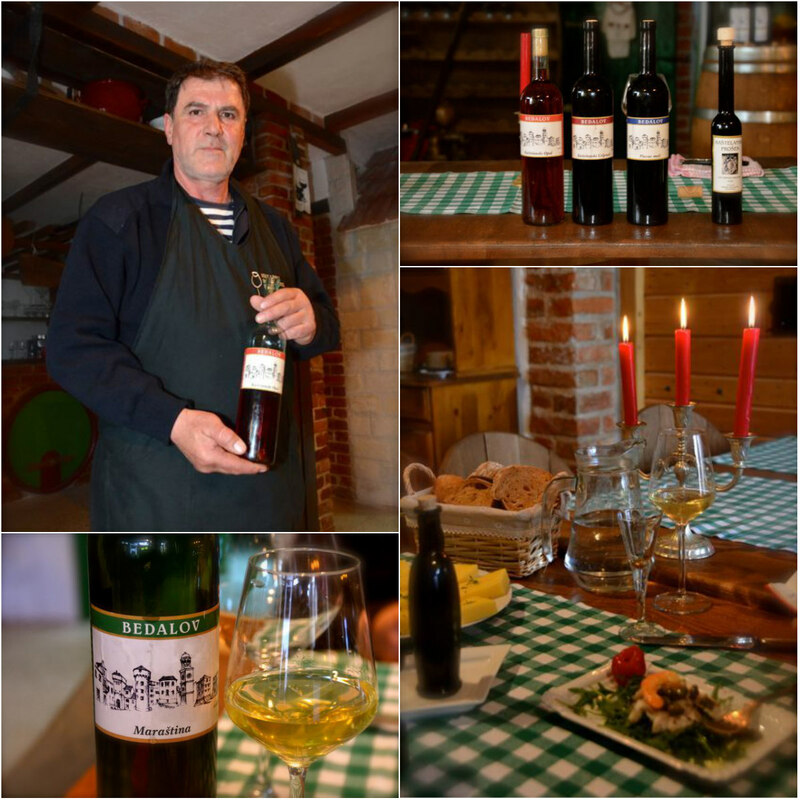 We would later learn that Jakša’s family has been growing grapes on those vineyards for more than 700 years. More than half of his vineyards can only be accessed by hand. 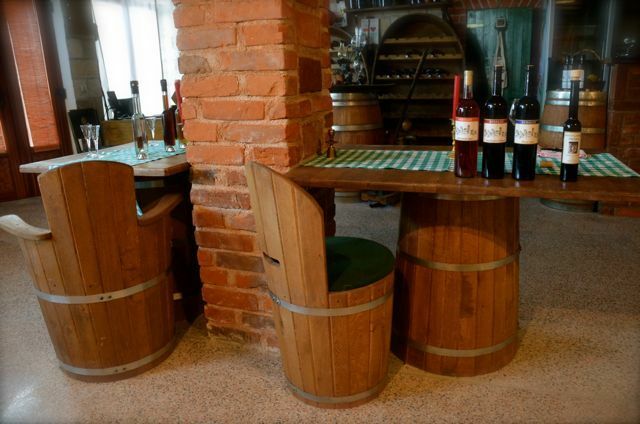 Upon our entry, Jakša handed us glasses of Trešnjevaca (cherry brandy) as an aperitif, and led us to comfortable, barrel-style chairs. 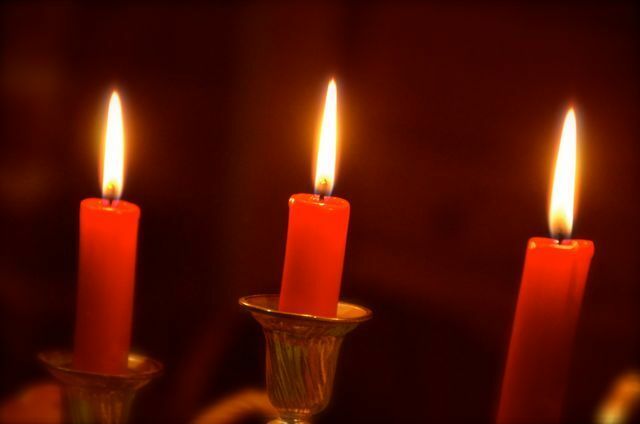 Then, he slowly unveiled his amazing four-course dinner offerings. The first course consisted of a delightful white wine called a Maraština, which was paired with a Sea Bass Salad. The sea bass was marinated in a delicate blend of orange and lemon juice, olive oil, and Tabasco sauce, and garnished with a prawn and capers. It was served on a bed of endive lettuce. 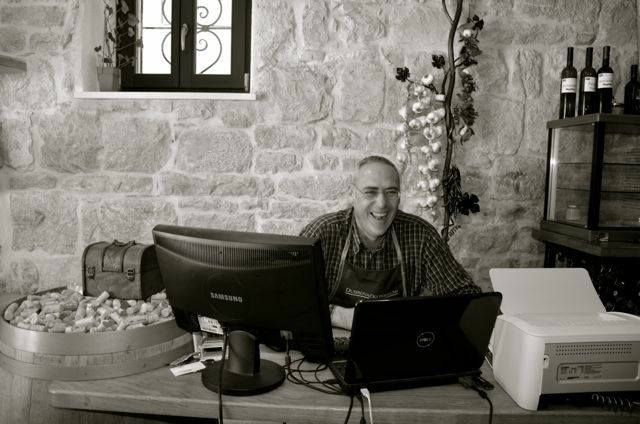 We were pleased to learn that Jakša’s wines are all organic. I was impressed by Jakša’s penchant for wining and dining guests, so as he transitioned from kitchen to table, I asked him where he learned the art of gastronomy. For the second course, we were treated to a bottle of Kaštelanski Opol, which is a mélange of Zinfandel and other varietals. This Rosé wine was accompanied by Zinfandel Risotto, Spinach-Zucchini Risotto, and a Mixed Green Salad with a Vinaigrette. Though I will someday try to duplicate Jakša’s risotto in our own kitchen, I’m not certain I’ll be able to even come close. Simply put, it was divine. What a perfect offering to serve in the ancestral home of Zinfandel! The third course was comprised of a 2010 Crljenak Kaštelanski, wisely paired with a Tuna in Pašticada Sauce. Pašticada is a traditional Dalmatian dish that is often served at weddings and other important feasts. The sauce usually accompanies beef, but Jakša revised the recipe, knowing my ‘selectarian’ meat preferences. Polenta rounded off the course, and the dishes were garnished with rosemary and parsley, harvested from Jakša’s own garden. We appreciated hearing that the tuna was caught in a sustainable fashion. Jakša rounded out the third course with a unique and vibrant wine, a 2009 Plavac Mali. It was a brilliant Meritage of Plavac Mali, Crljenak Kaštelanski, and Dobricic grapes. By this time, uncertain I could indulge in any more hedonistic undertakings, Jakša surprised us with a light, sweet dessert: sugared almonds, cashews, and dried cranberries and papaya. A 2006 Tequila Kaštela finished off the course. As with the other two taste experiences of the day, we’d love to return to Jakša’s. We can only imagine how beautiful it would be to savor his splendid offerings on Vagabundo’s terrace overlooking the Adriatic. For more information on Split and the Central Dalmatia region of Croatia, visit the Central Dalmatia Tourist Board website. Need more inspiration? This link contains an index of all my posts from Croatia. 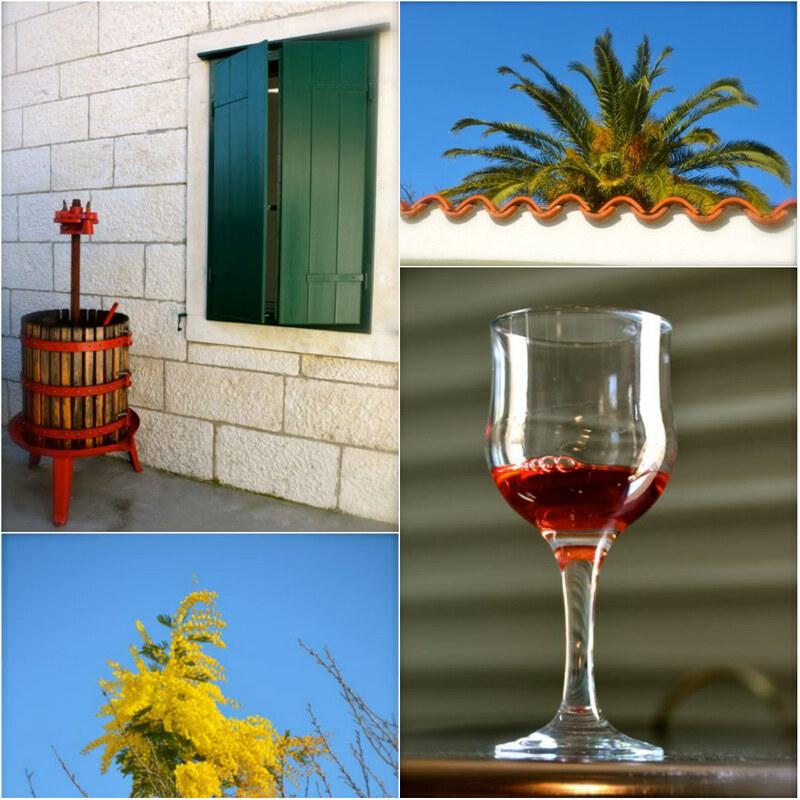 Our wine-tasting experience was provided by Secret Dalmatia, a small business that specializes in crafting unique, custom-tailored Croatia tours. We admire Secret Dalmatia’s aim to educate and expose visitors to Croatia’s cultural and natural heritage, while preserving and promoting it. Hvala / many thanks to Alan Mandic, the founder of Secret Dalmatia for hosting us for this day’s activities. While planning the day, Alan was attentive to my dietary restrictions as a gluten-intolerant diner and ‘selectarian.’ Without him, we never would’ve found these special establishments. We’d also like to thank our guide, Srdjan, and our hosts, Igor, Anton and Jakša. They were quick-to-laugh, attentive and patient, while exuding a contagious passion for their businesses and homeland. They provided us with the exact type of cultural, educational and off-the-beaten path experience that we seek when exploring a new destination. Photography & text © Tricia A. Mitchell. All Rights Reserved. My husband, Shawn, created the video footage. A small world indeed! 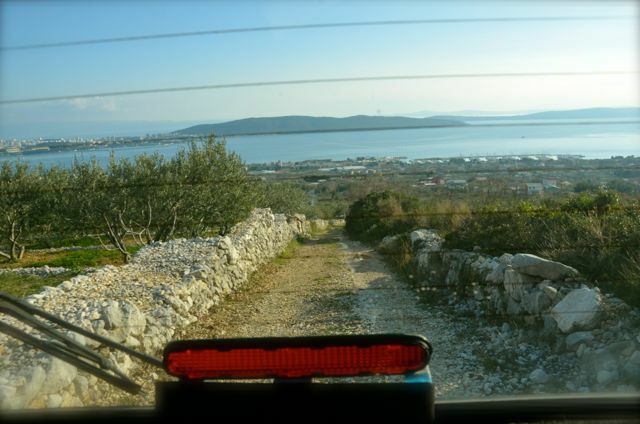 :) I believe Secret Dalmatia’s Kastela excursions are rather new, but they have a diverse range of offerings. I really appreciate that they offer such off-the-beaten-path, cultural experiences. 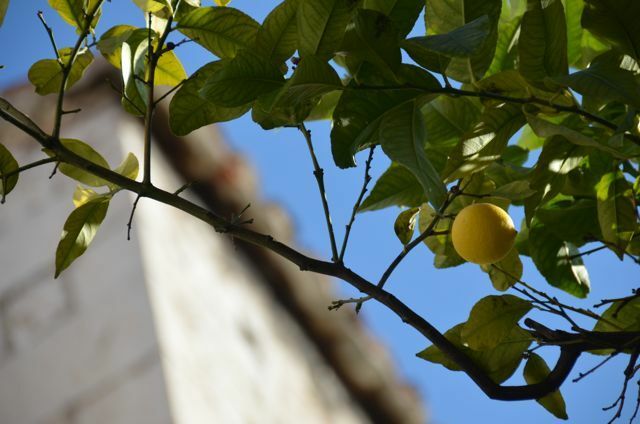 When will you officially open your b&b here in Trogir? It all sounds very exciting, and I think it’s wise to ease in as you are doing. My parents have considered opening a b&b in Germany’s Alps; I’ll have to direct them to your post to read what you’ve learned from the process. Finally, since we’ve so thoroughly fallen for Trogir, perhaps we’ll be back to stay at Villa Bellavista Trogir someday soon. We will update our website once we have some lovely pool pictures, and I will send you the link, in case you are interested in future, or can recommend it to family and friends. enjoy the rest of your stay in Dalmatia! Dobardan! I’d be happy to mention it to friends/family who voyage here. The pool sounds as though it might be one of the most popular spots during Croatia’s sizzling summers! Rosé Zinfandel, my wife’s favourite drink, I don’t drink wine but I might start if I get out to Croatia again, great post Tricia. Mark, you and your wife will definitely have to revisit this beautiful part of the world and sip some amazing Rosé Zinfandel on the Adriatic. Mary Ann, perhaps you will return to Croatia someday soon! I think you and Ted would love the country’s big reds. My hat off to you both for sharing this cultural experience in such an imaginative way. The collaboration was perfect. Lynne, that’s kind of you to say. We really enjoyed telling the stories of these five individuals who are so passionate about their country! You and Ron have done so much globetrotting? Have you made it to Croatia too? I did not accompany Ron to India (it was just he and a photographer friend),but I would love to go to southern India (Kerala).Have you been? I believe we will be doing more in country touring this year, but haven’t completely decided. That’s kind of you to say, Lynne. I do think that travelers have an amazing opportunity to be citizen diplomats during their voyages. Yes, Shawn and I went to southern India just one year ago. I still have a lot of stories to share from Mumbai, Goa, Munnar (Tea Fields), and of course, the Kerala Backwaters. On my Travel – India tab, you’ll see a few of the stories. I think you and Ron would love it there. We flew into Mumbai, then took an overnight bus to Goa, a train to Kochi (near the backwaters) and then local bus to Munnar. There was so much to see, even a month wasn’t enough for that bit of India. I was also in the north (on my own) in 2008, seeing the Taj, Jaipur, Delhi and Pushkar. There’s so much to eplore in the US as well! What places are you considering for this year? Ok – now i know a little more why Romans were so fond of those lands. Lovely report, Tricia! Glad you enjoyed it, Alessandro! The Roman legacy is quite fascinating here – 1,700 year-old aqueducts paralleling the highway. Pretty cool! I’m eager to get back to Split and fully explore Diocletian’s Palace. Hi Tricia, thanks so much for this post. I was disappointed by my time in Croatia, and since so many people rave about it, always look for positive accounts now. 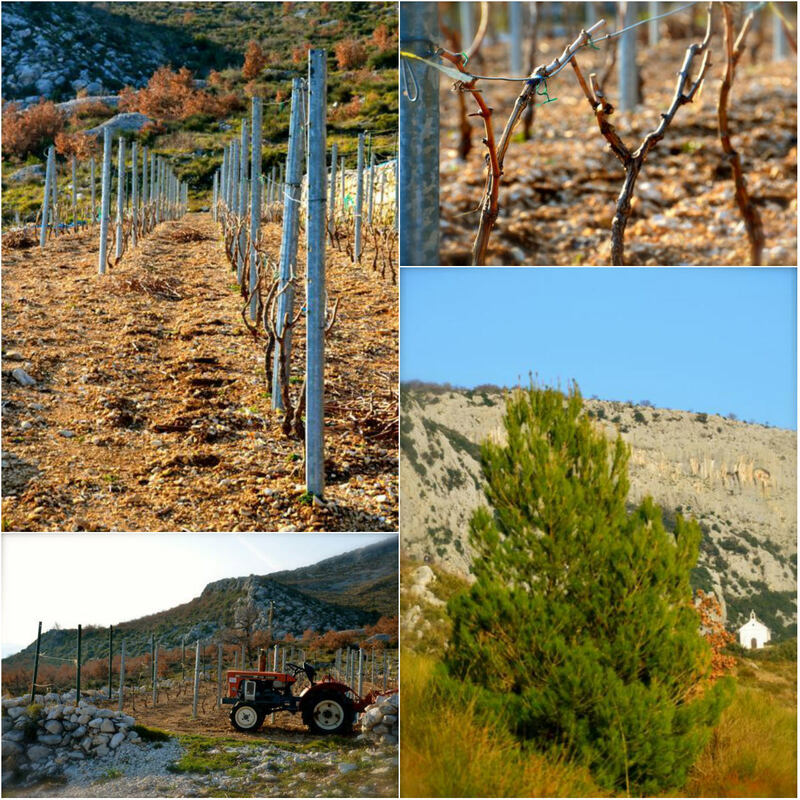 We spent time in the southern wine areas of Peljesac (Plavac Mali) and Korcula (Posip), but unfortunately the only wines we found that wowed us came from the north of Croatia. Obviously we should have spent some time with the professionals like you did to find the best producers! Jenna, that’s unfortunate to hear that your trip didn’t live up to your expectations. 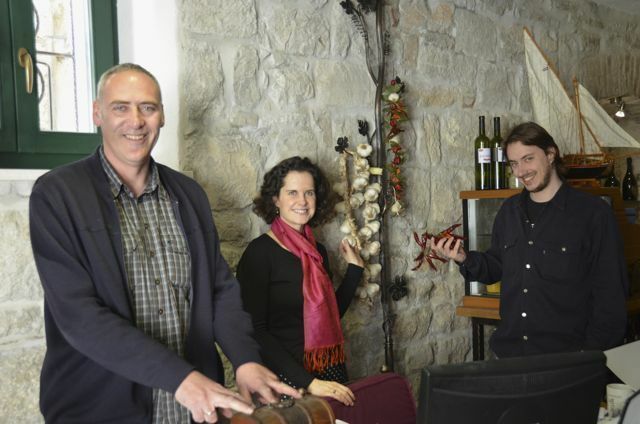 You’re right that we were lucky to be introduced to vintners so passionate about what they do. We’ve thought about visiting Korcula. Did you find it too crowded? Did you visit here during the summer? I’ve been to Dubrovnik once in July and found it very overrun with tourists. Of course, now we’re spoiled to have the town of Trogir all to ourselves. Perhaps after your adventures in Asia, you and your husband can return here. When do you leave for Japan? We leave in just a few weeks, though will take some time getting there. Needless to say, we’re getting very excited! I bet you are. I haven’t been to Japan yet, but my husband spent some time there and studied the language. He’s eager to show me his favorite spots of the country. Wish you some calm in these weeks leading up to your move. I know how hectic that can be! Tricia, this is one of my favorite posts of yours. You make us feel as if we are there. I love wine tours and tastings and haven’t been to one in a few years. The last one was in Upstate New York, Naples Valley. This is so beautiful, interesting, and informative. Thank you! I hope you don’t mind if I reblog your link on my reblog tastings I page? Thanks for your kind words, and of course, please feel free to reblog the piece. It’ll hopefully give some good exposure to these Croatian locals who are really passionate about what they do. I’m hoping that my husband and I can somehow try to duplicate the Zinfandel Risotto. It was really remarkable (and it was fun to eat it in Zinfandel’s homeland). Congrats again on your daughter’s wedding! And finally, how did the gluten-free baking go? Judy, glad it was a success after all! I’ll be eager to read about your process and bake them myself. Nice account of your trip and admittedly you are one of the few to get all of the facts straight in relation to the grapes and wine details. A might rare feat to most who visit the Adriatic shores of Dalmatia! Really, though, we must credit our great guide and hosts. 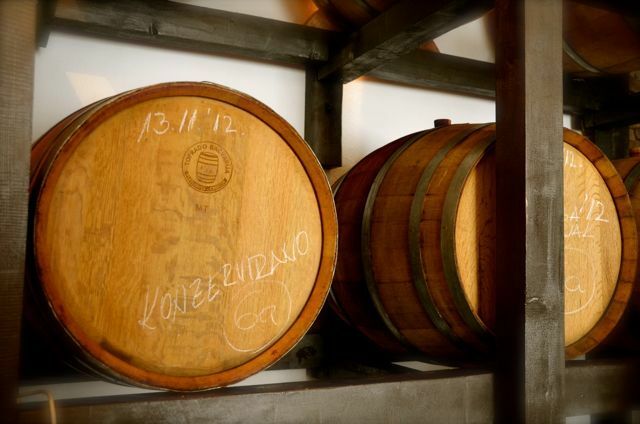 They are fantastic ambassadors for Croatian wine country. Glad you enjoyed the piece; I’m curious to delve into your site a bit deeper. Seems as though you’ve put together many wonderful guides. Please dig away, there are many more to come this year! Which regions are you targeting for the next guides? I’m just now reading about yours from Herzegovina. We have our Priorat guide to be released at the end of this month followed by Menorca later in May. In the Fall we’ll have a new guide for Istria as well. Other guides are in the works too, but we haven’t fully set them in stone just quite yet as the turnaround time for first editions is about 6-8 months and planning out anywhere past a year isn’t terribly easy. Oh wow, this day sounds like heaven! I was excited to see the mention of Cornell’s hospitality program. The Intro to Wines class I took while I was in school was definitely one of my most-used and most-enjoyed classes from college. Your descriptions of the wines were fantastic – I could feel my mouth watering at your description of the Posip! Jen, I must confess that the Posip was one of my favorites. There’s nothing like a nice white wine on a sunny day! How fun to have taken an Intro to Wines class in college. Do you remember the best take-aways? Are you still living in NY now? 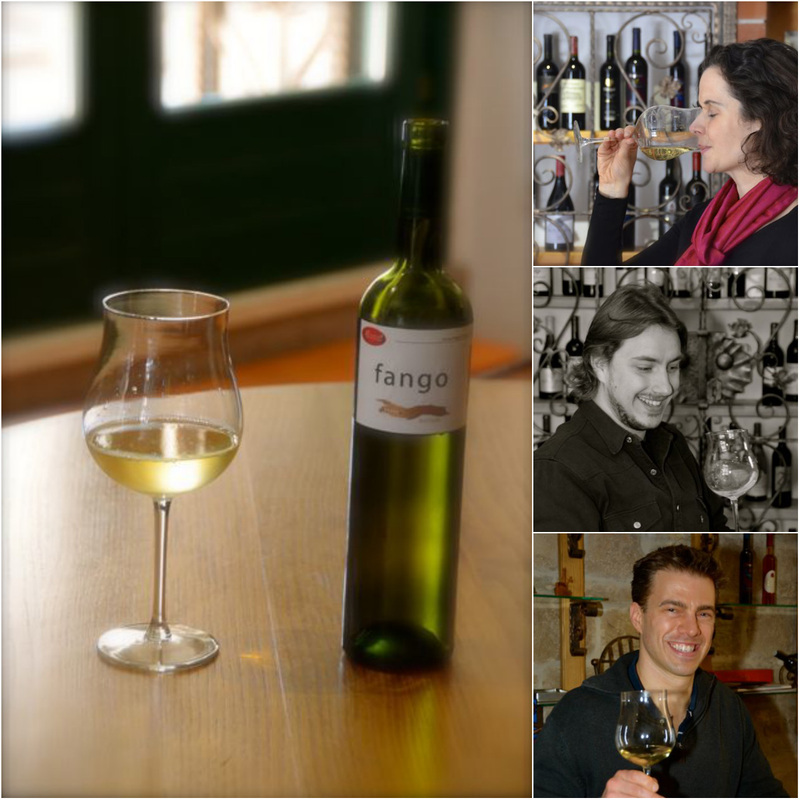 We currently live in central Pennsylvania, but are within a few hours’ drive from the Finger Lakes wine region in NY. What I really learned from the class is which wines I liked and which wines I didn’t like. I wasn’t a big wine drinker before the class, because my mom drank sweet white zinfandel and my dad liked big dry red wines. Both of these types of wine are a little too much for me – too sweet or too dry. After taking the class, I realize there are so many wines with a hint of sweetness (a Alsace Gewurtzraminer or Finger Lakes Riesling) or a slight dryness that still allows you to feel the wine on your tongue (Californian Pinot Noirs or Argentinian/Chilean Malbecs). I realized there is a wine to fit almost anyone’s taste. In fact, when I go out to eat with my parents now, they trust me to order a wine that they both enjoy, even with their disparate tastes! (a not too sweet, not too dry Pinot Gris with a light seafood dinner, or a fruit-forward Pinot Noir with our steaks and grilled veggies). Also, good wine can cost as little as ~$7-12 USD. Good doesn’t mean rare or expensive, it means a wine you really enjoy drinking! Excellent points, Jen. Having spent many years living near Alsace, France (where they have nice Rieslings and Gewürztraminer wine), I enjoyed reading your comments. I was delighted that they had such pleasant wines there starting at 6 Euros/bottle. 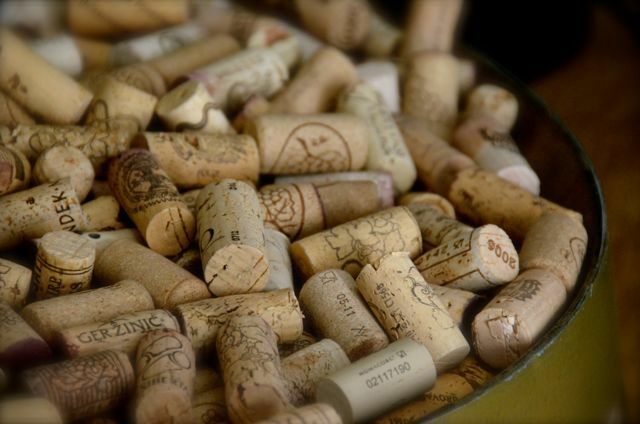 Guess you and your mother will be enjoying some European wines this summer? Ha ha, Bashar! :) Let’s just say that we took comprehensive notes. I won’t say anything of the handwriting in those journals, nor the wine droplets. Wow – this just reinforces the fact that I really did need more time in Croatia. 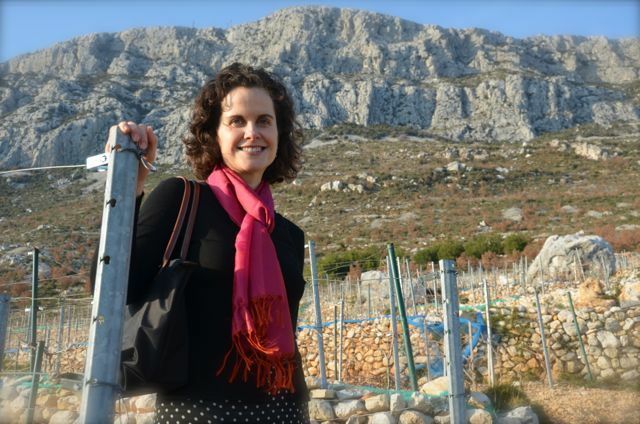 Sounds like you had a delightful time and had a real introduction to Croatian wines. I was not so impressed with the wines I tried in restaurants, but then I knew I hadn’t left enough time for myself to visit any wineries and have a proper wine experience! Thanks for opening my eyes. I hope to go back on a sailing trip in the future – I will be certain to leave a few extra days to do it right! This time, for example, I don’t think we’ll make it to Plitvice (even though I’m yearning to, based upon your and so many recommendations)! Krka National Park is closer to our current spot, so we’ll see if we can get there before we leave. As for sailing, we’re hoping (fingers crossed) that we might get to do so one day next week. We shall see! The weather isn’t too cheery this week, so we’re dreaming of blue skies. That sounds like quite the wine tasting experience. Your story reminded me of why I enjoyed Croatia so much, that is a really special area of coastline. I also missed that “panoramic” of Split as you mentioned, a really beautiful city to overlook. Glad you all are enjoyed the area so much! Look forward to reading more of your updates. Glad it transported you back to your adventures in the Balkans, Andy! We’re hoping to visit Split again tomorrow. Did you make it there? Flavia, love to hear it; thank you! What a marvelous trip, Tricia – thanks for letting us (well, me!) tag along here. Also, you and Shawn are like pros in the world of audio-video production! Glad you enjoyed it; indeed, we were lucky to have this opportunity! 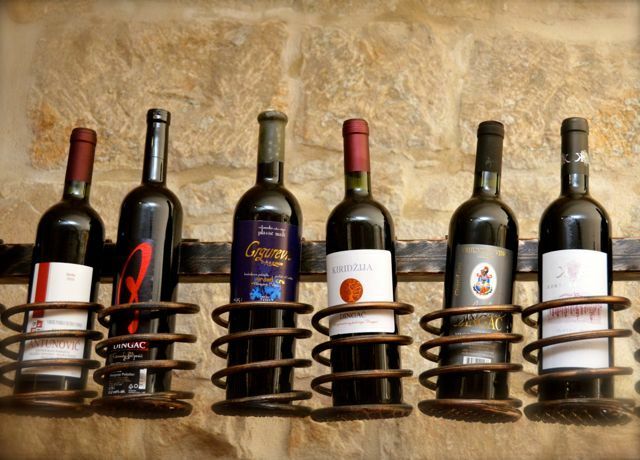 A few years ago I read in the New York Times that zinfandel grapes originated in Croatia. 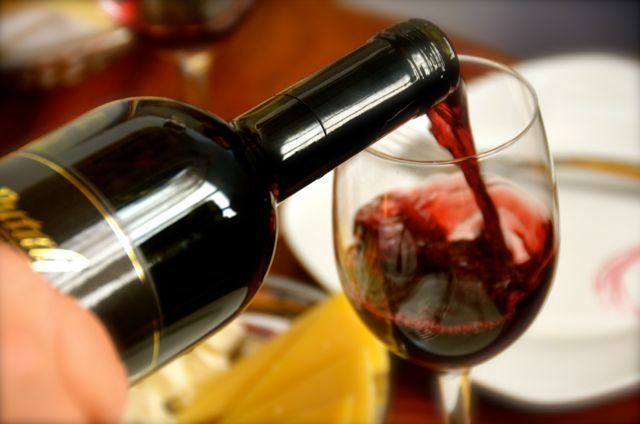 Zinfandel from California usually has big flavor and big alcohol – – often 14 to 16% alcohol by volume. It would be interesting to compare Croatia’s zinfandels with California’s. There must be a difference due to different climates. Your pictures and your essay are beautiful. Thank you for sharing. Gerard, perhaps someday you’ll have to come here and taste them for yourself. :) I find it fascinating to imagine how the grape made its way to North America; I think there’s some thought that the grape went from Croatia, then to Italy. One of the Zins that we have/had is around 14.5%, but I think they’re consistently over 13% here. Terry, me too. Am I ever missing that Zinfandel Risotto! Brmsimmons, thank you for dropping by. We enjoyed our time so much during this first winter visit to Dalmatia that we actually returned to Croatia a few months ago too. Are there any particular cities or regions that have piqued your curiosity in the country? We’ve only explored a fraction of the country, but of course love the coastal areas of Dalmatia. Istria and Slavonia are supposed to be pretty spectacular as well. Istria’s been popping up on our radar frequently lately too. :) I think it’d be especially fun to head there during truffle-hunting season, though we hear truffle hunting in general can be pretty competitive (with some people even planting poison for other hunters’ dogs to consume).